We also collaborate with builders and passive house specialists, such as Phoenix Haus, a contractor and builder of prefabricated passive house wall systems. 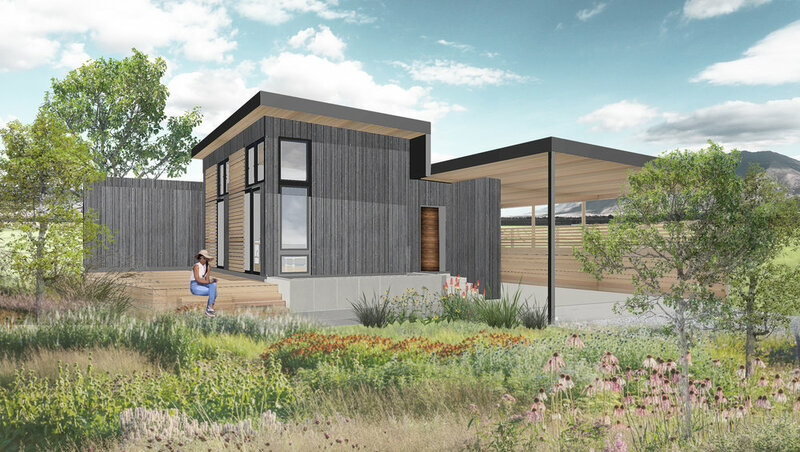 Phoenix Haus is committed to bringing European building technology to the USA for clients seeking to build with the highest quality, most affordable prefab passive house components on the market. The smallest offering in the bunch, the SMALL HAUS is the lowest cost, but still packs a great punch. With up to 2 bedrooms and 2 bathrooms available on this floor plan and design, your small haus will be an efficient package of space and performance. 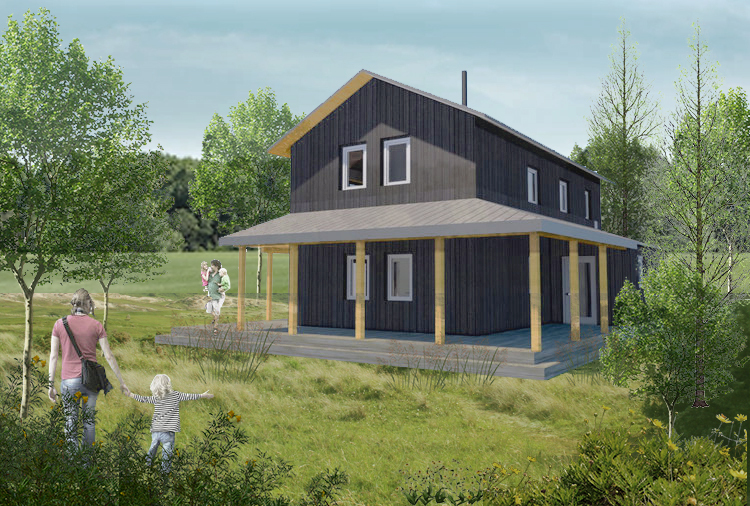 With a covered connection to nature, as well as a mud room for dirty feet - the Porch Haus is a low energy use design offering a generous space for family and visitors. Take advantage of the outdoors by sitting in a covered space for morning sun and coffee.